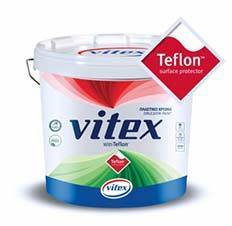 The new generation matt emulsion paint Vitex with Teflon TM with surface protection technology provides superior stain protection, is easy to clean without any residue and creates an anti-static protection surface against dust/smoke. 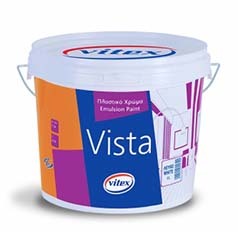 The premium quality emulsion paint Vitex, unrivaled in spreading rate, durability and hiding power. It has excellent leveling properties producing a completely smooth, flat surface. 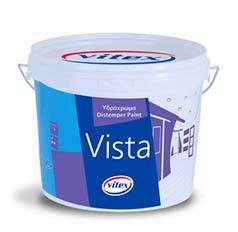 Virtually odorless, a characteristic that makes it friendly to the end user and the environment. 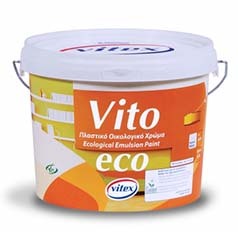 Certified ecological emulsion paint with excellent whiteness, great hiding power and unrivaled performance. Due to its special formulation it prevents the growth of microbes (bacteria - fungi) on the film of paint. 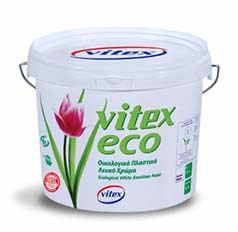 Certified ecological emulsion paint with great hiding power and high spreading rate. Easy to apply with very good leveling properties producing a smooth, flat surface. 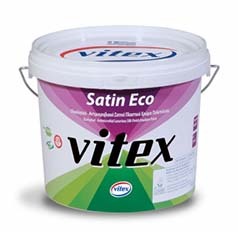 A luxurious silk finish ecological - antimicrobial emulsion paint for interior use certified according to the criteria of the European Union Ecolabelling Board (EUEB). Water-based paint specially formulated to provide an impressive metallic finish on any surface. 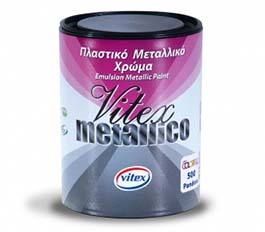 Ideal product for impressive and easy decorative metallic effects. Available in 3 shades: 500 Pandora, 520 Helios and 530 Selene. The shade Pandora (500) can be used as a base paint for preparation of 30 selected shades. 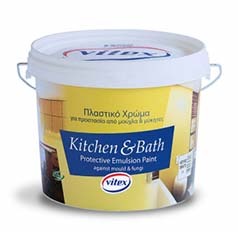 Economic emulsion paint for general interior use. Easy to apply with high spreading rate. Distemper with excellent whiteness and hiding power, suitable for indoors, stairwells, warehouses, kitchen and bathroom ceilings. Allows surfaces to “breathe”. 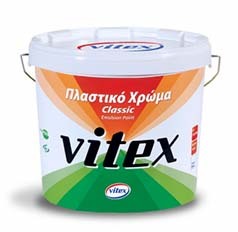 Emulsion paint suitable for protection against mold and fungi in areas with high humidity and vapor condensation. It provides great hiding power, high spreading rate and excellent whiteness. 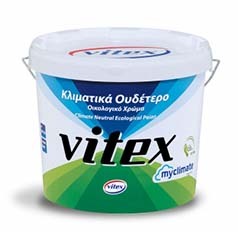 The only climate neutral certified ecological emulsion paint in Greece which offsets the greenhouse gas emissions from the Life Cycle of the product, while retains all the high technical features that emulsion paints of Vitex have.